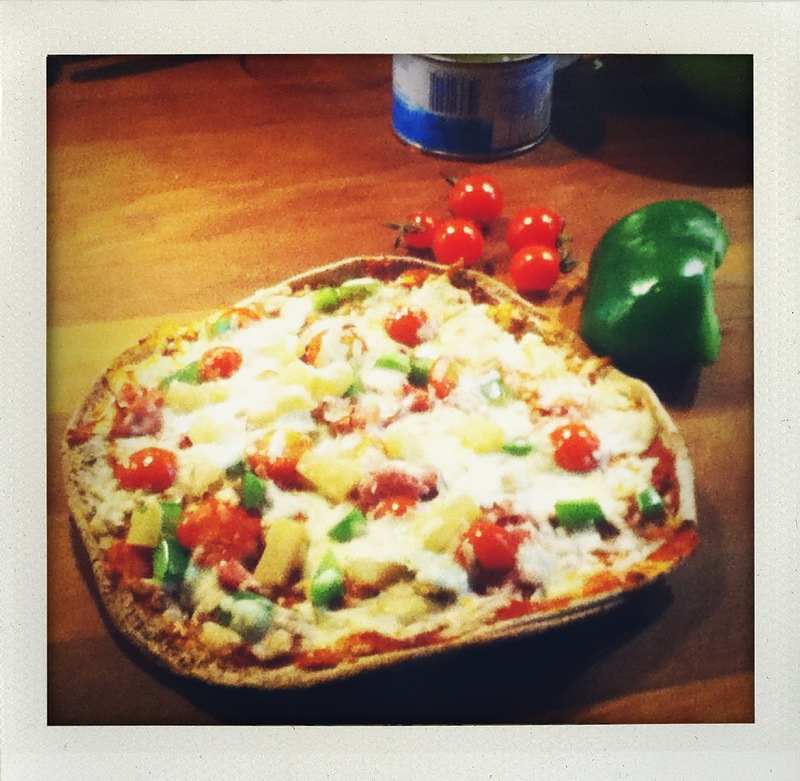 Little Belly Monster Kids’ Pizza – Modified! I went through the fridge and cupboards to discover that I had all the base ingredients (I usually keep an extra stash on hand for last minute meals). But realized I didn’t have all the favorite toppings. Argh. I started to think maybe I should make something else, until it occurred to me that I should just practice what I preach. I could add “Other Tasty Toppings” to change up the recipe. Amazing that it took me a minute to get there. It’s funny because when you find something that the kids like and are willing to eat, it’s so easy to get in a rut – don’t want to deviate too much or they could freak out (yes, it’s happened before). But it’s pizza, right? How can I go wrong? So I went for it. My Little Belly Monster (5 years) offered to help (I love that he enjoys cooking with me. It breaks my heart.) We added some different toppings – the cherry tomatoes being the oddest to him. And into the oven it went. The result? Mild resistance at first but by the end of dinner, he and his sister Moh Belly said that they’d be willing to add tomatoes again. Success! And we decided that next pizza night, we’ll do a smorgasbord of different toppings so everyone can build their own. Only rule is that there is a minimum of 2 veggie toppings, plus spinach (my secret weapon). They can’t wait. I love having my own little test kitchen. Here’s a picture of the final recipe, actually taken by my 5 year old son. He even insisted that I leave the green pepper and tomatoes in the back. He liked the way they look. Who is this kid?